If you have a short term project, feasibility study or need a feeder while we’re custom building one for you, we’ll lend you one of ours free of charge. Your only obligation is for round trip freight. Keep the feeder for up to 60 days. If you need it longer, there’s a reasonable rental program available. 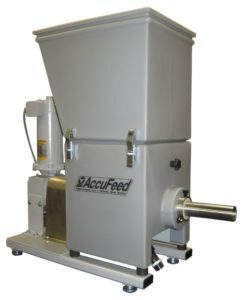 Ordering a new feeder from us? Keep the loaner until we build the new one – no charge. Whatever your bulk solids handling needs, call us for a solution. Solving customers’ problems is what we do best. For more information please visit www.vibrascrew.com.